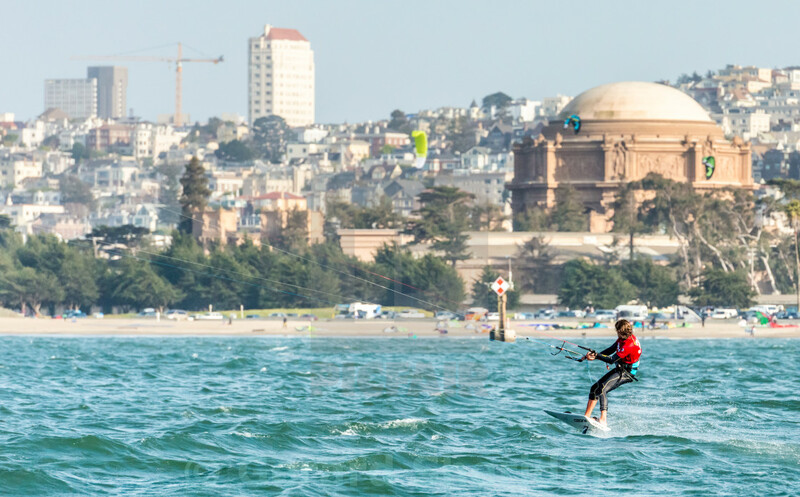 Foiling Kiteboard racing has grown in popularity of the recent years on San Francisco Bay. They launch off Crissy Fields beach which you can see in the background. It's an exciting and colorful sport to watch from the shore. They can reach speeds of over 20 knots!